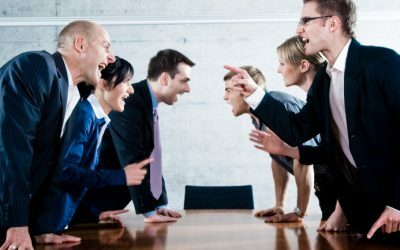 Increasingly, we hear stories of toxic workplaces and toxic leaders in which incivility, abusive behavior and bullying are commonplace, even among those businesses which are financially successful. Both inside organizations, and in the world in general, never has there been a greater need for empathy and compassion toward others. “Sawubona” is a Zulu greeting which basically means “we see you”. We saw a version of that idea in the movie Avatar. It’s a way of recognizing that how they understand what they see around them is a reflection of their perception that is derived not only from their own experiences, but from the stories and ideas passed down to them through their family and community. Similarly, leaders need to remember that how we feel colours our perception of what we see going on around us and consequently, it’s important to understand those feelings so that we can respond and manage them accordingly. The term “empathy” first appeared in psychological literature in 1910, when Titchner translated it into English from the German term, “Einfuhlung,” literally meaning “to feel oneself into”. Empathy later came to refer to a means for humans to understand each other as individuals with thoughts and feelings. 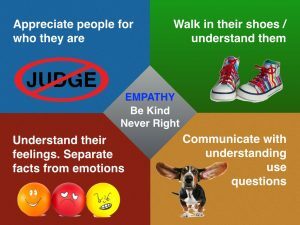 Empathy gained popularity as a psychological construct in the 1960s after the development of Rogers’ humanistic psychotherapeutic approach, in which empathy is a central component. However, for many years, most empathy-focused research was concentrated in the developmental and social areas of psychology, and was represented very little in the clinical and neurological psychology literature. In the past 20 years, the empirical investigation of empathy has gained momentum, and the construct of empathy has evolved. Some researchers have categorized empathy as either a cognitive process or an affective connection to another, while others conceptualize empathy within an integrated framework that encompasses both cognitive and affective components. The challenges to defining empathy are further complicated by the multifaceted nature of the experience of empathy. Qualitative phenomenological research has found that some individuals experience and conceptualize empathy on a cognitive level (e.g., “I know what it is like to experience a car accident.”), while others have an affective understanding of empathy (e.g., “I understand why she feels so hurt when her mother doesn’t return her calls.”). Furthermore, empathy has been described as a dispositional trait, a context-specific state, as well as a psychological process. What Are The Kinds of Empathy? According to Daniel Goleman, there are three types of empathy. The first is cognitive empathy, which is intellectual awareness of the feelings, opinions and thoughts of others. Emotional empathy is the second, described as an ability to share the same emotional experience as another person. The third type is compassionate empathy, exemplified when we make efforts to help based on our understanding of the needs and feelings of others. The way we apply the three types of empathy also requires balance. Daniel Siegel, a UCLA psychiatrist, calls the brain areas that create this resonance the “we” circuitry. Being in the bubble of a “we” with another person can signify chemistry, that sense of rapport that makes whatever we’re doing together go well – whether it’s in sales or a meeting, in the classroom, or between a couple. Dr. Siegel has even written about how to do this with your teenager. We see the third variety, empathic concern, spring into action whenever someone expresses their caring about another person. This kind of empathy partakes of the brains’ circuitry for parental love – it’s a hear-to-heart connection. But it’s not out of place at work: you see it when a leader lets people know that he will support them, that he or she can be trusted, that they are free to take risks rather than maintain a too-safe defensive posture. In the book, Born for Love: Why Empathy is Essential and Endangered, Maria Szalavitz and Bruce D. Perry (MD, PhD) argue we have become the most successful species primarily because we can be empathetic and develop and maintain nurturing relationships that are mutually beneficial. As the authors put it, the human species survives because of our capacity to love. And our capacity to love is based on our ability to put ourselves in someone else’s position and care about their circumstances — that is to empathize with them. Empathy is a critical component of emotional intelligence and we should be requiring that skill/trait in selecting and promoting our leaders. The predominant stereotype of a leader in our organizations and government has been one that features a white male, usually tall, an extrovert, confident, sometimes aggressive, decisive, and goal or task focused. Traits and behaviors associated with emotional intelligence, such as empathy and compassion were either seen to be weaknesses or not valued. Yet, there is increasing compelling evidence, despite the rising popularity of charismatic authoritarian leaders globally, that the stereotype leader is becoming increasingly dysfunctional and not suited to the global, interconnected world which values positive relationships and collaboration. Artificial Intelligence (AI) and other cognitive systems are being deployed across every industry, revolutionising the world in which we work. AI is also transitioning into our homes and offices through the likes of voice assistants including Siri, Alexa, and Google Home. However, the rise of intelligent technology leads us to question how well humans are understood, and how well they can be empathetic towards individual customer journeys. In our technologically driven world, why is it that an emotional term like ‘empathy’ has become so important? As technology takes an increasingly central place in all our lives we’ve become more aware of the importance of human touchpoints in delivering a robust and meaningful customer experience. In order for a company to provide exceptional customer service, employees must first understand the customer, their needs and the context in which they operate. If there is no empathy or understanding of a customer’s needs, no evidence that they are valued, they will never feel fully engaged, regardless of the technology used to deliver and enable the customer experience. Empathy is often measured with self-report questionnaires such as the Interpersonal Reactivity Index(IRI) or Questionnaire for Cognitive and Affective Empathy (QCAE). These typically ask people to indicate how much they agree with statements that measure different types of empathy.The QCAE, for instance, has statements such as, “It affects me very much when one of my friends is upset”, which is a measure of affective empathy.If someone is affected by a friend who is upset, they score higher on affective empathy. Using the QCAE, researchers found people who score higher on affective empathy have more grey matter, which is a collection of different types of nerve cells, in an area of the brain called the anterior insula. This area is often involved in regulating positive and negative emotions by integrating environmental stimulants – such as seeing a car accident – with visceral and automatic bodily sensations. The researchers also found people who score higher on cognitive empathy had more grey matter in the dorsomedial prefrontal cortex. This area is typically activated during more cognitive processes, such as Theory of Mind, which is the ability to attribute mental beliefs to yourself and another person. It also involves understanding that others have beliefs, desires, intentions, and perspectives different from one’s own. Books such as Transforming Toxic Leaders,The Allure of Toxic Leaders, Rising Above the Toxic Workplace,and Eye of the Storm: How Mindful Leaders Can Transform Chaotic Workplaces describe in detail the corrosive characteristics of workplaces where people are not valued and treated without respect and care. All sticks and no carrots. Management focuses solely on what employees are doing wrong or correcting problems, and rarely give positive feedback for what is going right. Or mostly carrots for the best performers, sticks for the the rest. Bullies rule the roost. Bullying of employees by management, or tolerated by management when it occurs among employees. Losing the human touch. People are considered to be objects or expenses rather than assets, and there is little concern for their happiness and/or well-being. Little or no concern for work-life balance, where a personal or family life must be sacrificed for the job. Little evidence of leaders’ compassion and empathy for employees. 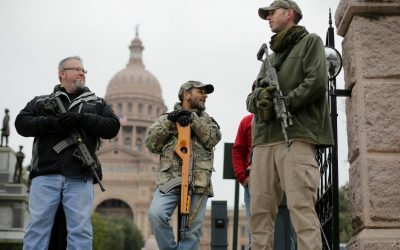 The poll by Weber Shandwick, reported that 65% of Americans say the lack of civility is a major problem that has worsened. What’s even more distressing is that nearly 50% of those surveyed said they were withdrawing from the basic tenants of democracy—government and politics—because of incivility and bullying. Research conducted in the past decade has shown that employee engagement has declined significantly in most industries, with some research citing as few as 29% of employees being actively engaged in their jobs. Theo Veldsman of the University of Johannesburg has published a study on the growth and impact of toxic leadership on organizations. He contends that “there is a growing incidence of toxic leadership in organizations across the world.” Veldsman says that anecdotal and research evidence shows that one out of every five leaders is toxic, and he argues according to his research, that is closer to three out of every ten leaders. Veldsman describes toxic leadership as “ongoing, deliberate intentional actions by a leader to undermine the sense of dignity, self-worth and efficacy of an individual. This results in exploitative, destructive, devaluing and demeaning work experiences.” He goes on to say that a toxic organization is one that “erodes, disable and destroys the physiological, psychosocial and spiritual well being of the people who work in it in permanent and deliberate way. Social scientists are particularly concerned about an increasing lack of empathy in America. Citing tests like the Narcissistic Personality Inventory(NPI), Psychology Today reports that “approximately 70% of students today score higher on narcissism and lower on empathy than did the average student 30 years ago.” This change has been attributed to a mix of the self-esteem parenting movement of the ’90s, an increasing number of social media platforms that foster “oversharing” and instant, near-effortless means of garnering attention, and less time spent in cooperative play with peers. Research has so far demonstrated that business students and business leaders seem to have lower degrees of empathy. Sarah Brown and her colleagues for instance, assert that there are multiple studies reporting that business students are more focused on self-interest than students in other fields. Brown found that empathetic and narcissistic personality traits were significant predictors in ethical decision making. They further noticed that, of all business areas, finance students were least empathetic and most narcissistic. 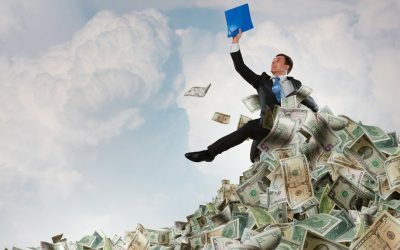 Brown paints a grim picture of business students: they cheat more (holding the record with a 50% higher rate of reported cheating than any other major); are less cooperative, more likely to conceal instructors’ mistakes, less willing to yield and more likely to defect in bargaining games. Brown asserts that the mentality of unethical and narcissistic behavior follows business students into their professional careers, leading to the immoral organizational patterns we have come to know so well in recent years. They feel that business schools are still focusing too much on academic and social skill sets that will help students succeed in a competitive world, and too little on inter-human or ‘‘softer’’ skills. Tara Pepper reveals a concerning fact about narcissism in business leaders. While this quality is often sought in corporate leaders, because the right dosage of narcissism can lead to optimal innovation, there is often only a thin line that distinguishes brilliant thinking narcissists,who are also charismatic and visionary, from psychopaths such as Bernie Ebbers and Dennis Koslowski, who use their skills in harmful ways that we have all come to witness in recent years. Holly Andrews and Paul Furniss take it a step further and link excessive narcissism in business organizations to psychopathic behavior. They assert that, perfectly matching to the description of a psychopath, these business executives are superficially charming, grandiose, deceitful, remorseless, void of empathy, irresponsible, impulsive, lacking goals, poor in behavioral controls, and antisocial. Andrews and Furniss express concern about the fact that the business environment seems to be such fertile ground for psychopaths. 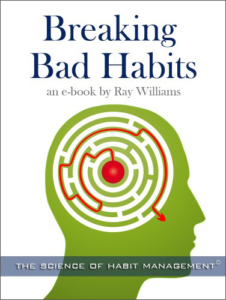 According to Andrews and Furniss the psychopaths in business are highly attracted to transitional organizations that offer rewards and a stimulating environment, and are very cunning in entering these organizations. They first present themselves as ideal workers, then start building relationships with people who have formal and informal power, and ultimately manipulate the entire environment. Andrews and Furniss further affirm that the widely accepted model of democratic capitalism and modern days’ business culture endorses and even promotes the behaviors of psychopaths. 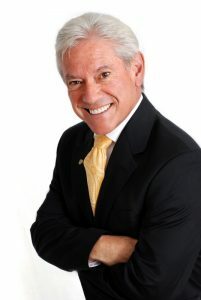 Roger Karnes confirms that ‘‘empathy and social skills are under trained and under developed by organizations’’, and explains the downward spiral effect that starts with leadership void of emotional intelligence, leading to less empathy and social skills overall in organizations, expressed through employer–employee abuse, and ending in growing employee discontentment and all its consequences. Considering the challenges of the fast-paced contemporary organizational environment, Wendy Mill Chalmers draws the interesting conclusion that there should be a positive correlation between hard demands and soft skills. ‘‘The ‘faster’ the workplace the more essential it is to inspirational leadership with emotional intelligence and an empathy and understanding of the development needs of their staff’’. Mill Chalmers’ adds that modern leaders need to engage in ‘‘21st century enlightenment’’, thereby not just responding to modern values, but shaping them. She reviews the ideology of possessive individualism that has become synonymous with consumer capitalism and democracy, and draws the conclusion that modern capitalism has fed self-interest, greed and unethical behavior, and undervalued empathy. Yet, while empathy seems to be on the rise as a recognized leadership prerequisite, other sources warn that this quality takes time to develop. A 2006 study from the UCL Institute of Cognitive Neuroscience found that young people are less capable of empathy-based emotions than more mature ones. The study, which was conducted by University College London, and presented at a British Association fort he Advancement of Science festival at the University of East Anglia, concluded that the medial prefrontal cortex, which is the part of the brain that is ‘‘associated with higher-level thinking, empathy, guilt and understanding other people’s motivations – is often under-used in the decision-making process of teenagers’’. 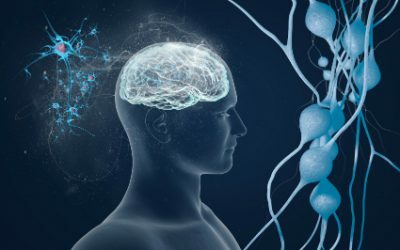 The study further reveals that the maturity process brings about a shift in brain use from the back part to the front, which is where the ‘‘soft behaviors’’, as McDonald earlier labeled them, are triggered. Surprisingly, ineffective managers make up half of the today’s organizational management pool, according to a series of studies according to Tomas Chamorro-Premuzic is the Chief Talent Scientist at ManpowerGroup, a professor of business psychology at University College London and at Columbia University, and an associate at Harvard’s Entrepreneurial Finance Lab, and author of a new book, Why Do So Many Incompetent Men Become Leaders? (And How to Fix It). Chamorro-Premuzic goes on to say that arrogance and overconfidence are inversely related to necessary leadership skills — the ability to build and maintain high-performing teams, and to inspire followers to set aside their selfish agendas in order to work for the common interest of the group. Indeed, whether in sports, politics or business, he says, the best leaders are usually humble— and whether through nature or nurture, humility is a much more common feature in women than men. For example, women outperform men on emotional intelligence, which is a strong driver of modest behaviors. What are the Characteristics of Empathetic Behavior? Are vulnerable. Empathetic people share a story of their own about when they encountered a similar situation or problem. This softens the situation and makes them more relatable. Don’t make assumptions.Assumptions interfere with their ability to empathize. To be truly empathetic they have to let go of preconceived notions that are not based on true understanding or experience. Use their imagination. It’s impossible to have experienced every situation that others share with you. So you need to use your imagination to better understand how the other person is feeling. Fiction books can be a great way to experiment with trying to get into the mind and heart of a character whose experiences are profoundly different from your own. Are fully present with others. Empathetic people have a way of making you feel like you’re the only one in the room. When they interact with someone, they give that person the gift of their full attention and respect, which is rare in today’s hyper-distracted world. Tune into nonverbal communication. Communication runs deeper than words alone. If you notice someone tensing up, pulling away, or suddenly dodging eye contact, those are important clues that you can use empathy to reach out. Rather than ignoring the emotion, gently — and with kindness — ask them to describe what’s happening for them. This gives people the freedom to share their feelings openly, knowing they won’t be judged or criticized. Letting emotions flow freely can be a gateway to productive problem-solving. Pause and are comfortable with silence. In an effort to be helpful, we often jump in to finish people’s sentences, offer advice, or interrupt. Empathetic people know how powerful silence can be. They don’t interrupt or talk over other people. They think before they speak. Replace giving advice with asking questions. Instead of offering their opinion, empathetic people ask questions to better understand another person’s perspective, like. Being alive to the suffering of others.Being sensitive to the well-being of others and noticing any change in their behavior is one of the important attributes of a empathetic and compassionate people. Tolerating personal distress.Distress tolerance is the ability to bear or to hold difficult emotions. People who feel overwhelmed by another person’s distress may simply turn away and may not be able to help or take the right action. Make appropriate eye contact.An appropriate level of eye contact makes people feel seen and improves effective communication. Can Identify the emotions of others (and self).Learning to identify and label what the empathetic person is feeling naming it can help us better understand their behavior or the message behind the other persons feelings and words. Are conscious of their tone of voice.Because tone of voice conveys over 38 percent of the nonverbal emotional content of what a person communicates, it is a vital key to empathy. Matching the volume and tone of the person you are talking to and, generally, using a soothing tone to make someone feel heard. However, when a person is communicating outrage, moderating your tone—rather than matching theirs—is more appropriate. Intentionally respond rather than react. How you resonate with the person you are talking to is critical. Whether or not we’re aware of it, we tend to synchcronize emotionally with people. However, it is important that the empathetic person be able to regulate their emotional response, rather than merge with the other person, or react in a way that is not helpful. Some research by Emily Weinstein has shown that empathy- based behaviors can be learned. ‘‘Individuals can be taught to ask questions to enhance understanding that builds connection between people and helps them to perceive the emotions of others’’. Joanne Izenberg has also foundthat qualities such as empathy, optimism and resilience . Many leadership theories suggest the ability to have and display empathy is an important part of leadership. Transformational leaders need empathy inorder to show their followers that they carefor their needs and achievement. Authentic leaders also need to have empathyin order to be aware of others. Empathy is also a key part of emotionalintelligence that several researchers believe iscritical to being an effective leader. 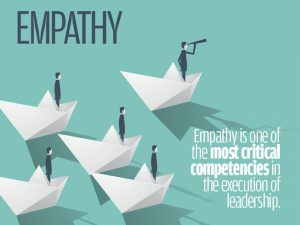 In my work as an executive coach working with C-Suite leaders, the issue of empathy (or often the lack of it) frequently arose. For example, A senior executive at a global engineering firm told me the positive effect that being more empathic had on his leadership effectiveness. He reported becoming better able to recognize both the triggers and early signs of stress, anxiety, and conflict in his employees. This empathic awareness helped him to minimize these issues, and identify opportunities to help others calm themselves and focus. In contrast, another senior leader that I worked with was having significant problems working effectively with his team. Together we discovered that the main problem was not efficiency, resources or talent, but his often abusive, insensitive leadership style, which was often lacking in empathy and compassion for his team. Unfortunately, he was unable to make the behavioral changes needed, and shortly thereafter was fired from the firm. Daniel Goleman says that leaders credit empathy with helping them engage in more collaborative behaviors. For example, he says, they were more able to minimize the interference of judgment and bias, thereby improving the quality of their interactions. This openness was also linked to an improved ability to understand the true intentions behind the communication efforts of others. Goleman argues managers with excellent cognitive empathy, for instance, get better than expected performance from their direct reports. And executives who have this mental asset do well when assigned to a culture different than their own – they are able to pick up the norms and ground rules of another culture more quickly. Emotional empathy has different benefits. With emotional empathy we feel what the other person does in an instantaneous body-to-body connection. This empathy depends on a different muscle of attention: tuning in to another person’s feelings requires we pick up their facial, vocal, and a stream of other nonverbal signs of how they feel instant-to-instant. But in order to develop this kind of empathy we have to able to tune in to our own body’s emotional signals, which automatically mirror the other person’s feelings. Goleman suggests that empathy is vital for leaders because it is positively related to the innate motivation of followers. Furthermore, empathy is helpful when solving problems in the workplace because it enables leaders to make immediate connections with employees, facilitates a more accurate assessment of employee performance, and yields better outcomes. Goleman states that empathy is a must-have virtue for leaders because it can inspire, motivate, envision, and lead others to greater effectiveness. The need for empathy is increasingly important in the workplace where shared vision and openness are critical factors for success. Thus, possessing empathy helps a leader identify with his/her employees, i.e., to experience their pain and understand what it is like to be in their positions. Consequently, empathy is a vital skill for successful leadership since leaders who have a high degree of empathy towards their employees are in a position to become more effective leaders. If you think your business practices empathy effectively, think again: less than 50 percent of employees in a recent Businessolver survey reported feeling that their companies were empathetic. In John Baldoni’s “How To Lead With Empathy (and When Not To)”, believes that a total lack of empathy is not positive, he believes that “empathy is the ability to have a heart, but leadership is the attribute to act on that heart when it matters.” Jill Kransny, who wrote “The Awesome Power of Empathy,”contends the best leaders at work are the ones who take time to listen to their employees, see other’s perspectives, and understand where an employee may be coming from. Shelly Levitt writes in “Why the Empathetic Leader Is the Best Leader,”that helping others, expressing kindness and empathy provides a sensation of feeling good. Furthermore, she states that by training to be more empathic and by acting more congenial, there is a building effect. “Daily practice of putting the well-being of others first has a compounding and reciprocal effect in relationships, in friendships, in the way we treat our clients and our colleagues.”. It’s increasingly evident that business leaders who are capable of experiencing and demonstrating empathy, compassion, and humility have greater success. Research as well as direct business experience confirms this. One recent example isa study of 1500 leaders and their employees. It found that humble leaders who have increased self-awareness and insight experience greater commitment and performance from their employees. According to the research findings, “Leaders with a strong self-insight demonstrate a good understanding of their own needs, emotions, abilities and behavior. On top of that, they are proactive in the face of challenges.” The study foundthat when employees experience this type of leadership, it has a positive effect, and that’s especially true when the leader is humble. Contrary to early theories on the key elements of leadership, such as authority or dominance, Svetlana Holt and Joanne Marques suggest that “the 21st century brings a whole new set of demands, which radically change the way leaders will perform”. Others would agree that, while cognitive abilities such as expertise and problem solving are antecedents to effective leadership, emotional abilities—or social skills—are equally as significant for today’s leaders and can often determine who will and who will not be successful. Leadership behavior requires a “vital ingredient,” which is the willingness of the leader to implement particular behaviors. In light of manyethical disasters in today’s contemporary corporate working world, companies are now more than ever seeking empathetic leaders to run organizations and generate positive outcomes. That’s consistent with the Catalyst study, which shows that altruism makes employees more innovative and engaged – especially when working with employees from diverse backgrounds, which is increasingly common. In fact, it found that humility is one of four critical leadership factors for creating an environment where employees from different demographic backgrounds feel included. Employees who perceived altruistic behavior from their managers also reported being more innovative, suggesting new product ideas and ways of doing work better. Moreover, they were more likely to report engaging in team citizenship behavior, going beyond the call of duty, picking up the slack for an absent colleague — all indirect effects of feeling more included in their workgroups. Global training giant Development Dimensions International (DDI) has studied leadership for 46 years. They believe that the essence of optimal leadership can be boiled down to having dozens of “fruitful conversations” with others, inside and outside your organization. Expanding on this belief, they assessed over 15,000 leaders from more than 300 organizations across 20 industries and 18 countries to determine which conversational skills have the highest impact on overall performance. The findings, published in their High Resolution Leadership report, are revealing. 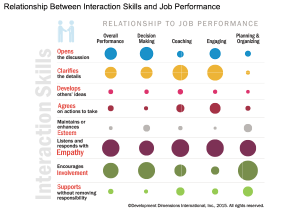 While skills such as “encouraging involvement of others” and “recognizing accomplishments” are important, empathy–-rose to the top as the most critical driver of overall performance. Specifically, the ability to listen and respond with empathy(see graph below). Effective leaders are able to create resonance with their followers and can guide them to yieldmore productive and emotional behaviours with empathy (Goleman, Boyatzis & McKee, 2002). As against this leaders lacking in empathy often create dissonance (Goleman, Boyatzis, & McKee, 2002).And that pays off in many ways. Managers with excellent cognitive empathy, for instance, getbetter than expected performance from their direct reports. And executives who have this mental asset do well when assigned to a culture different than their own – they are able to pick up the norms and ground rules of another culture more quickly. A study from Catalyst, described inJeanine Prime and Elizabeth Salib’s Harvard Business ReviewBlog found that when employees observed diminished ego in their managers — such as humbleness and empowering workers — they reported being more innovative and engaged; more likely to suggest new product ideas and ways of doing work better. According to researcher A. G. Hoffman, empathy is crucial because without this quality leaders are not able to connect with their people and inspire or motivate them towards achieving a shared vision, especially during difficult times. Research by Mahsud, Yukl, and Prussia (2010) note that empathy is a crucial skill because today’s leaders have to learn to cope with new environments and trends (i.e., adaptability). Mahsud et al. further demonstrate that empathy skills help leaders have a positive attitude towards adapting to new environments and trends. Research states that empathy has also become increasingly important to effective leadership, during organization expansion or relocation because leaders with empathy have the needed skills of openness and adaptability (Atwater &Waldman, 2008; Choi, 2006; Feng, Preece, & Lazar, 2004; Goleman, 2000). Research by Rosete and Ciarrochi (2005) utilizing the Mayer Salovey Caruso Emotional Intelligence Test (MSCEIT) and the 360 degree survey, and research by Gardner and Stough (2002) using the Multifactor Leadership Questionnaire, in which the relationships between empathy and leadership effectiveness were investigated, found that a strong relationship exists between empathy and effective leadership. Empathy creates dynamic interpersonal skills, which motivate employees and improve the effectiveness of leaders (Undung & Guzman, 2009). Empathy has also been related to different leadership styles, such as transformational leadership, charismatic leadership, and servant leadership (Gardner & Stough, 2002; Maibom, 2009; Popper, 2000). For instance, in research on transformational leadership, low job turnover, leadership effectiveness, and individual advancement were related to leaders who had a high degree of empathy, openness, and communication (Rosete & Ciarrochi, 2005). Empathy has also been regarded as a powerful tool in developing leadership skills that are instrumental in the development of trustworthy and motivated employees (Undung & Guzman, 2009). Empathy, then, is a component of relations-oriented behaviors. When leaders focus on the feelings and needs of their subordinates rather than the sole task and good things generally happen. “In the new work dynamic, ‘job-centered’ leadership is beingreplaced by ‘worker-centered’ leadership, which has the potential to drastically alter the role of an effective leader” (Boatwright & Forrest, 2009). While empathy is a relations-oriented behavior, Wolf, Pescosolido, and Druskat (2002) posit that empathy can also contribute to the cognitive skills necessary for task leadership. Empathy is considered one of the most coveted virtues of the human beings by the society (Rogers, Dziobek, Hassenstab, Wolf, & Convit, 2006), and is a fundamental part of our social fabric (Baron- Cohen &Wheelwright, 2004).Empathy is the ability to interpret other’s feelings and to re-experience them oneself and depicts an important concept central to emotionally intelligent behavior (Salovey& Mayer, 1990). Empathy is also sharing of both positive and negative feelings that promotes bond between individuals (Plutchik, 1987). Empathy relies on specific parts of the brain that evolved to enable emotional connection with others and the motivation to care. When we see someone in pain—let’s say, because we witnessed them accidentally cut themselves—pain pathways in our own brains light up, though to a lesser degree. Empathy has been cited as a central, defining feature of emotional intelligence (Carmeli,2003; Wolff, Pescosolido, & Druskat, 2002; Kellett, Humphrey, & Sleeth, 2002; Choi, 2006). Mindfulness, a present moment awareness that is non-judgmental, open, and accepting (Kabat-Zinn, 1990), may help facilitate empathy across social differences through the suspension of self-referential information and enhancement of open-minded acceptance of experiences that differ from one’s own. Mindfulness promotes a sense of self that is integrated with the whole experience of life (Fulton & Siegel, 2013), a perspective that may dissipate self-other divisions fueled by prejudice and perceived differences, and promote connection. Preliminary research has demonstrated a potential for mindfulness-based interventions to facilitate empathy in intimate relationships (Carson, Carson, Gil & Baucom 2004; Wachs & Cordova, 2007), parenting (Snyder, Shapiro, & Treleaven, 2012; van der Oord, Bögels, & Peijnenburg, 2012), and counseling (Greason & Cashwell, 2009; Grepmair, Mitterlehner, Loew, & Nickel, 2007). Many mindfulness experts consider empathy to be either a quality (Fulton & Siegel, 2013;Shapiro & Schwartz, 2000) or natural extension of mindfulness (Morgan & Morgan, 2013). It has been proposed that the compassion engendered through mindfulness practice represents a neurophenomenology that allows one to separate from learned ways of perceiving and behaving, expanding awareness of existence beyond the individual to a larger, connected sense of being (Siegel et al., 2009). Without intending to target empathy, Shapiro and colleagues (2011) found that an 8-week mindfulness intervention (Mindfulness Based Stress Reduction) led to a statistically significant increase in empathy, as measured by the IRI, up to one year after treatment. Greater pre-treatment trait mindfulness resulted in a more dramatic increase in empathy after intervention than was observed in those with lower pre-treatment mindfulness, indicating mindfulness may enhance empathy through intervention and disposition. When Belinda Parmar founded Lady Geek, a U.K.-based consulting firm that advocates for women in technology, she was surprised to discover that gender inequality is often fueled by a lack of empathy. Her team subsequently created the Empathy Index tool to assess corporate empathy levels and identify empathy deficits. The 2016 Empathy Index showed that companies that successfully create empathetic cultures retain the best talent, create environments where diversity is valued and reap greater financial rewards. The top 10 companies in the 2015 Global Empathy Index increased in value more than twice as much as the bottom 10 and generated 50 percent more earnings. One of the responsibilities of leadership is defining the long-term vision you have for the organization and establishing some short-term goals for your employees to attain in order to transform your plans into reality. However, what distinguishes average to mediocre leaders from those who excel at leading others is how the latter group understands that their focus shouldn’t be simply directed to whether goals are achieved or not. Rather, their focus is also on fulfilling the collective purpose of creating something meaningful. To accomplish this, leaders need to understand the inner purpose that drives each of their employees and aligning that with their organization’s goals. This requires that leaders be more open about their ideas and thinking and asking their employees about their thoughts on it. By spending more time learning about the needs of their employees, leaders can set the tone and approach taken by their employees to achieve their organization’s goals. The nature of organizations, work and what motivates people has changed, and leadership needs to change to continue to be an important force. The days of the stereotypic autocratic, bureaucratic leader who exclusively focuses on task completion and “doing things” while ignoring the emotional states of employees has long passed. That change must be reflected in the kinds of people we choose and promote as leaders. We need to emphasize, encourage and develop emotional intelligence and empathy, or risk the negative consequences of not doing so. 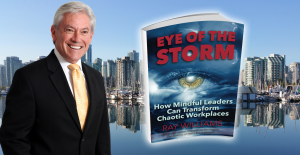 Read my latest book: Eye of the Storm: How Mindful Leaders Can Transform Chaotic Workplaces, available in paperback and Kindle on Amazon and Barnes & Noble in the U.S., Canada, Europe and Australia, India and Asia.